Throughout modern history, both science and personal experience have taught us that our world as made up of matter: things we can see, touch and otherwise know to be “real.” But what if this type of materialistic thinking got it wrong? What if consciousness was more fundamental than matter? What if consciousness was far greater than our individual perception? What if consciousness was the basis of all we experience on the earth plane and even beyond this lifetime? Mark Gober has long sought answers to life’s challenging questions. In 2016 he came upon some radical new ideas that put into question the most basic assumptions about who and what we are as human beings. The more he researched, the more he realized that he needed to rethink everything that he thought he knew. 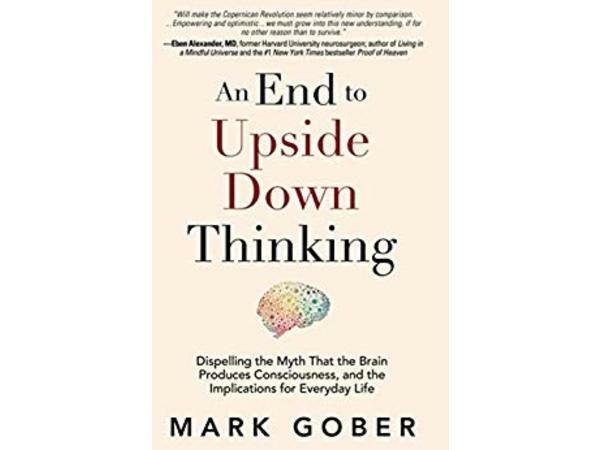 Now he is sharing this remarkable work in his book, An End to Upside Down Thinking. If you are someone who loves ideas, is curious about the human condition and seeks to find answers to life itself, you will want to be sure to hear what Mark has to share!